The best team-building activities combine several factors to make them successful: adventure, excitement, education, camaraderie and introspection. 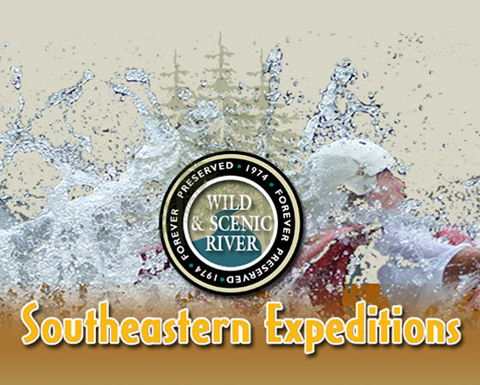 Since 1972, Southeastern Expeditions has been offering the chance for teams of all sizes to participate in challenging, thrilling and memorable rafting trips down the Chattooga River. Choosing one of our rafting trips for your next team-building adventure is a great way to encourage growth and sharing with your group in a fun and rewarding adventure. What Does My Team Get out of It? Rafting is a highly dynamic and variable activity that is always unique. Even members of your team, group, office or club that have rafted with us before will experience new thrills at every turn. Fun: First and foremost, a team-building activity has to be fun. You want your employees or members to forget about the stress of work and enjoy a moment with each other discovering new skills, sights and talents with a few laughs along the way. 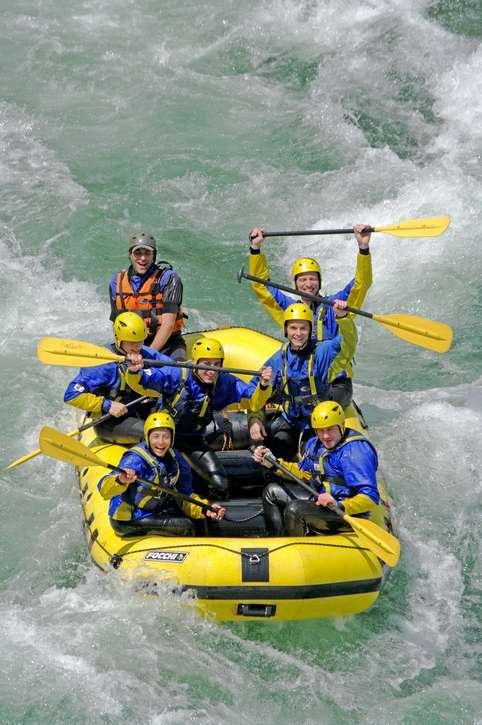 As a corporate team-building event, rafting ranks up there as one of the most memorable you can offer your team. Challenging: Want to see which of your team members are natural leaders and take charge in sticky situations? Want to see how your group works together to keep advancing and see who needs encouragement to join in? Our rafting adventures help shine a light on how your team members interact and can give you valuable insight into team dynamics. Rewarding: Striking out as a team and reaching the final destination at the bottom of the river brings a sense of accomplishment and reward that your team will remember for a long time. Our guides make sure everyone arrives safely, but your team will be required to work together to keep the raft on the right path for the best experience. Symbolic: The goal of any team-building adventure is to solidify a true team spirit within your members and encourage new friendships and professional relationships. The rafting experience is a great metaphor for a corporate, educational or other team environment and your group members will come away with a greater appreciation of where they fit into the bigger picture. You can choose from our relatively mild Section III trip if you have beginners in your group or the wilder Section IV trip if you’re looking to really push your team-building adventure to the max! In all cases, the beauty and power of the river will leave no one feeling indifferent, and your team will come away from the experience with a wonderful sensation of growth and accomplishment. Contact our Southeastern Expeditions team for more information and to book your next corporate team-building rafting trip. It is always a pleasure for us to see the smiles and hear the stories of team members as they recount their tales on the river, so let us know how we can help you create the perfect rafting team-building adventure for your group.